Coming March 13, 2016. 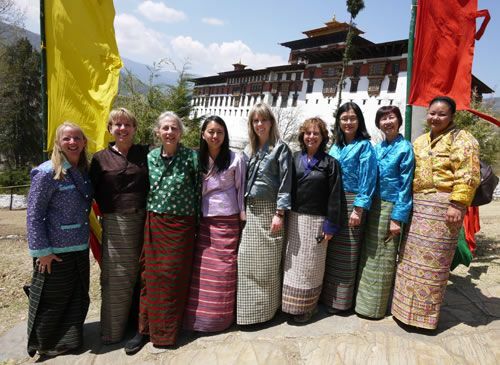 Find your inner peace on the Bhutan Cultural and Yoga Tour with WanderTours. Travel to the Land of the Thunder Dragon on this 12 day journey that includes daily yoga classes, visits to monasteries, attending local festivals, and viewing magnificent scenery. The cost of the trip is inclusive of all transportation within Bhutan, all meals, hotel accommodations, bottled water, tips for guides and drivers, and entrance fees. A unique aspect of this tour company is their WanderTours Giving Program, which dedicates a portion of your tour cost to supporting a local project or non-profit organization. Treat yourself to an intimate sojourn through the Kingdom of Bhutan.